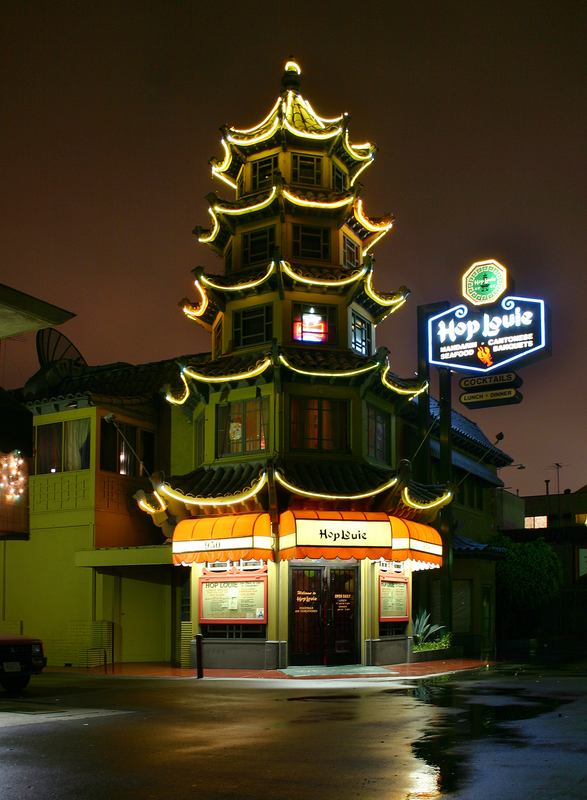 The old Hop Louie restaurant on Chinatown’s Mei Ling Way had a good run—more than 75 years—before closing in August, 2016. Legions of fans descended on the place two years ago to remember the opulent landmark over a last plate of chop suey or a Scorpion bowl for two. A tiny room downstairs, which had devolved into a dark, boxy dive bar, stayed open until last summer. 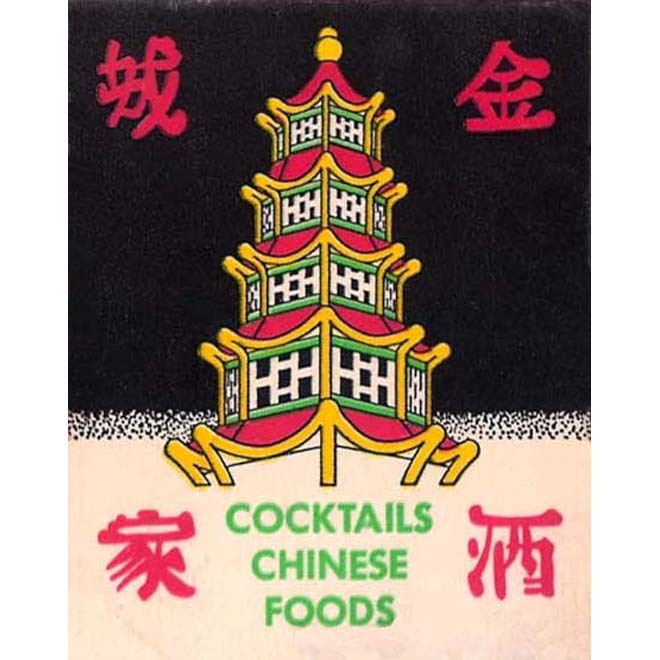 The restaurant opened as Golden Pagoda (the name changed in the 80s) a couple of years after “New Chinatown” was built in 1938. The five-story, neon-lined tower was modeled on the famous Summer Palace in Beijing and has attracted not only hungry tourists but also innumerable movie and TV productions, which left behind autographed photos that lined the main staircase. Walter Soo Hoo most recently ran the restaurant, but former owner Chester Quan, who died at age 95 in 2008, presided over the action for generations. Moresco took over General Lee’s bar across the plaza from Hop Louie in 2014. 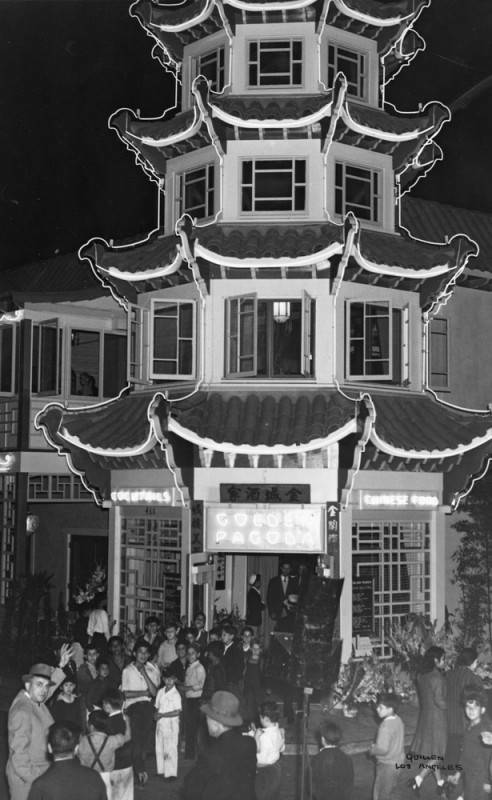 That restaurant is a descendant of Man Jen Low, which dates to 1878, and has been called the first Chinese restaurant in Los Angeles. Moresco, who currently lives in Dallas, formerly supervised entertainment at the Hollywood Roosevelt Hotel, and ran the Writer’s Room and Smoke bars (both now closed) in Hollywood. The former Wall Street trader, who moved to California after 9/11, began his nightlife career promoting events at the Standard and Mondrian hotels on Sunset. At the new Hop Louie, Moresco will be the “operations guy and creative type,” says Kermani, who will focus on business affairs. Much of the building hasn’t been touched since before WWII and it needs some attention. “The focus is to bring it back to its glory days and maintain all the charm,” Kermani said. “It’s basically going to be a restoration.” He expects the project to take almost a year. 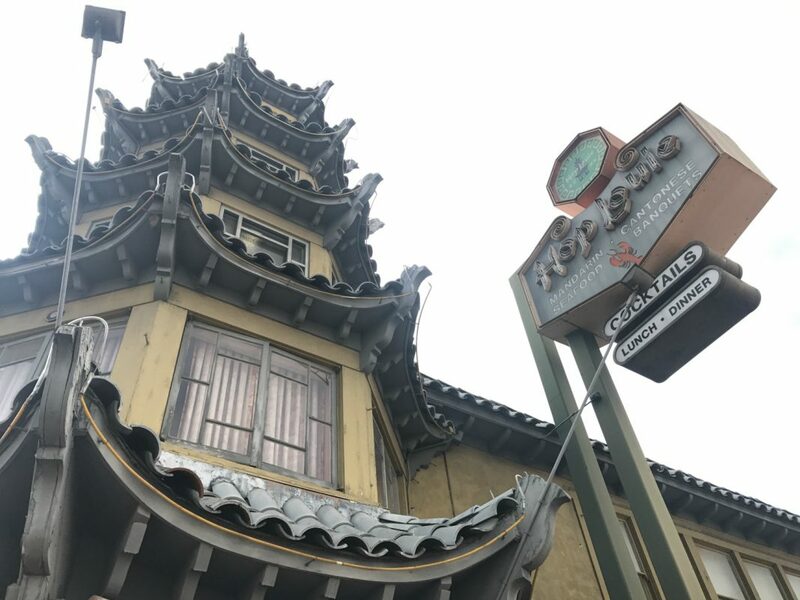 The liquor license that comes with the restaurant is the type that requires food to be served, so expect some sort of dining option, but probably not Hop Louie’s $5.50 chow mein lunch special. There was a charm to the faded glory of the old place; the patina and funk of a joint with this kind of history is hard to replicate. The glamorous trappings can be brought back and Moresco’s clubs can draw a crowd, but will it ever again be such a glorious time machine? “I think you’ll be blown away,” says Kermani. I hope so. RELATED: Tail o’ the Pup Has New Owners and Is Reopening in L.A.